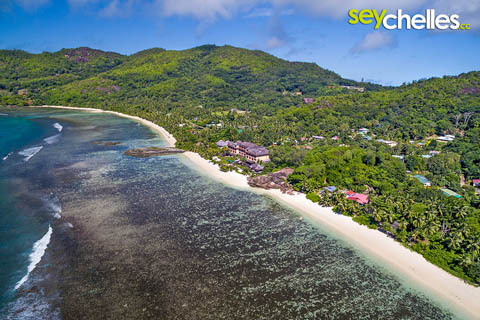 It is not surprising that the Double Tree by Hilton (former Allamanda Hotel) and the Anse Forbans Chalets have chosen Anse Forbans for their facilities. 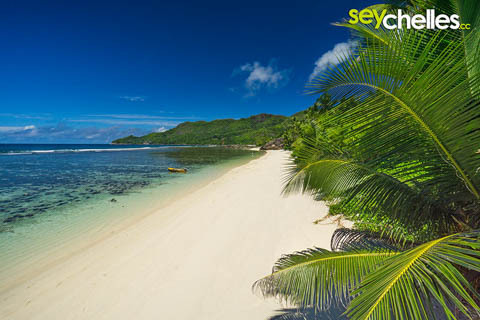 This wonderful beach is great for a walk along the southeast of Mahé because it is nearly 1,5km log and hardly populated. Depending on the tide, Anse Forbans (which merges into Anse Marie-Luise in the south) is a rather narrow pure sandy beach that only gets interrupted by typical granite rocks once. These rocks are easy to climb and give you a great view over Anse Forbans and the Double Tree Hotel. Swimming, however, isn´t easy here because the waters are quite shallow, but bathing is quite nice - of course depending on the season again.